Please help us refine our website by filling out our quick survey. Thank you for your time! Representatives from Illinois' gaming industry and the addiction treatment community have teamed up to raise awareness of problem gambling. We will work to educate the public on potential dangers of gambling addiction, to coordinate resources for problem gamblers and to prevent underage play. The mission of the Illinois Alliance is to assure wide-scale public awareness of problem gambling. This will be accomplished through education, increased accessibility, and full coordination of the resources and information available to assist problem gamblers, those who are at risk, and those who are affected by it. 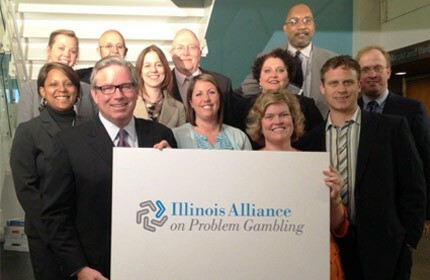 The Illinois Alliance is comprised of representatives of the gaming industry, service providers, gambling regulators and others, who share a common interest to educate on the potential dangers of problem gambling, to prevent underage play, and to coordinate resources and information to assist problem gamblers, their families and the public.